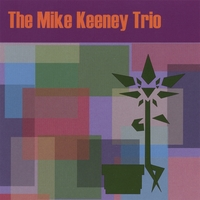 The Mike Keeney Trio's 2006 release is an instrumental blend of improvised rock and jazz. It draws on inspiration from great crossover guitarists like Bill Frisell, John Scofield and Wayne Krantz while still finding it's own identity. This music occupies the space of smart,thoughtful and reactive improvisation woven through a moody, melodic atmosphere. Great hooks and blistering solos keep the action moving throughout this incredible debut CD. 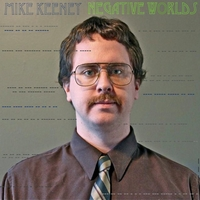 Mike's solo guitar album of 2011 is a mx of etherial guitar loops and beautiful melodies performed live in the studio. Each piece paints a picture that seems to evolve into something new on each listen. From the rhythmic pocket of "Emily Sparkles" to the dark but inviting tones in "Every Day is Halloween", this release is the codification of a unique emerging artist. 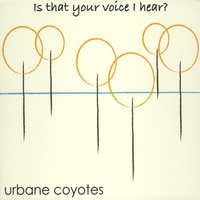 Urbane Coyotes "Is That Your Voice I Hear?" This collaboration, made up of Lorenzo DeLeon, Lisa Kotara and Mike Keeney, was released in 2011. Lorenzo's background in acoustic guitar instrumentals blend well with Keeney's Bill Frisell-esque guitar melodies and solos. Lisa's voice is the icing on the cake in this beautiful songwriting project.